Racing through the largest field in the history of the event, Germany’s Julian Track outran a talented final table on the way to taking down the 2013 European Poker Tour Prague Main Event last night in the Czech Republic. Coming to the final table, Track held a decent lead over former EPT champion Max Silver, but it was far from secure with Silver and others in pursuit of him. Stephen Chidwick was in the middle of the pack and in excellent form during the tournament, while Ole Schemion lurked as one of the shorter stacks on the table. Jorma Nuutinen, Georgios Sotiropoulos, Ka Kwan Lau and Zdravko Duvnjak rounded out the final group as the cards hit the air on Wednesday afternoon. Track would extend his lead early on by creating the first knockout. Nuutinen, who came to the final table as the short stack but was able to grind up a bit through the early action, opened the betting in Level 26 but saw Chidwick pop him with a three bet. In the big blind, Track would four bet the action and Nuutinen would put his tournament life on the line while Chidwick backed away. It was a race situation, Nuutinen’s A-K against Track’s pocket tens and a ten on the flop basically ended any discussion. Once a seven on the turn failed to provide any assistance to Nuutinen, he was gone in eighth place (for the record, Chidwick folded two of Nuutinen’s outs with his own Big Slick). Silver, trying to become the first player to ever win two EPT championships, did not have a great day of play on Wednesday. As he watched his chip stack dwindle, he was able to see Duvnjak depart the festivities before Silver himself hit the door. Pushing all in with an A-10, Chidwick decided to look him up with his pocket sevens. A ten would come on the flop to give the lead to Silver and the board paired with a four on the turn. Silver was one step away from a big double, but a seven on the river quashed that double and eliminated the Brit in sixth place. Schemion also had some difficulties in getting anything going on Wednesday. On his final hand, Schemion saw Sotiropoulos bet out and Track three bet his action. Schemion moved all in for almost 3.5 million chips and, after Sotiropoulos (and his K-9 off suit) got out of the way, Track called. Schemion’s pocket tens were vastly outpacing Track’s pocket sevens and things didn’t change on the 2-8-2 flop. A seven on the river, however, suddenly pushed Track to the lead and, once neither of Schemion’s two remaining outs came on the river, he was done in fifth place. That hand further solidified Track’s lead over the remaining three players as he held almost 60% of the chips in play. Looking to gain some ground, Sotiropoulos was responsible for the eliminations of both Lau and Chidwick to bring the match to heads up but, suddenly, the play was stopped. Track (holding 17.2 million chips) admitted that he wasn’t feeling well and offered Sotiropoulos an even chop of the remaining money on the table (worth €700,000), saving back roughly €25K and the trophy to play for. Sotiropoulos accepted and, once those formalities were complete, the twosome went about deciding a champion. Even with the money in the (proverbial) bank, Track and Sotiropoulos battled it out as if the entire prize pool was on the felt. Track would wear down Sotiropoulos to a point that Track held a 4:1 lead, but Sotiropoulos wouldn’t go away quietly. 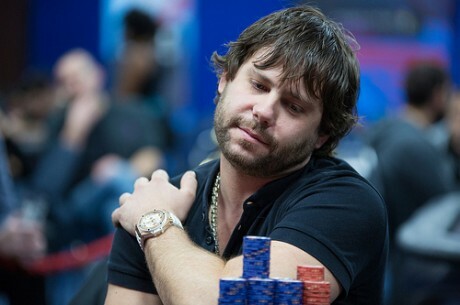 Over four hours, Track and Sotiropoulos fought it out before the penultimate hand was dealt. Pushing his stack all in with a Q-J off suit, Sotiropoulos was called by Track and his pocket tens and, once the board came down K-9-2-4-3, Sotiropoulos had missed all his outs and the tournament was over. With the close of the activities in Prague, the European Poker Tour is taking a bit of time off for the holidays. That respite will be a short one, however, as the EPT kicks back into action on January 5 with their yearly visit to the Bahamas and the PokerStars Caribbean Adventure. The 2014 PCA Main Event is a $10 million guaranteed tournament, which should draw the crème of the EPT to the sunny climes of the Caribbean as well as hundreds of online qualifiers looking to stake their claim to poker greatness. In a surprising occurrence in the online poker world, high stakes poker player Tom ‘durrrr’ Dwan is no longer a member of “The Professionals,” the sponsored players for Full Tilt Poker. Hansen, Blom and Dwan were brought onboard Full Tilt Poker as “The Professionals” in November 2012 following the rebirth of the site under the auspices of the Rational Group (also the owners of PokerStars). Hansen and Blom have been very active on the new site, with Hansen having a difficult time (according to High Stakes Database, Hansen is down $8.53 million this year alone) and Blom very slightly up (roughly $650,000). The situation for Dwan is much different, however. Another reason for the parting of the ways between Dwan and Full Tilt Poker could be the lack of success that Dwan has had on the live tournament poker circuit over the past year. Over the past year, Dwan has only one official cash (according to the Hendon Mob database) at the NBC Heads-Up Championship in January of 2013. Prior to that, Dwan’s 2012 stats were compiled in one listing, a sixth place finish in the PartyPoker.com Premier League V in April 2012. Since 2011, Dwan has only garnered eight cashes in worldwide tournaments, with four of those in “invitational” events (such as the NBC Heads Up tournament) and three at the 2011 World Series of Poker. The final reason for Dwan’s departure from Full Tilt Poker could be his passion for high stakes live games. It is well known in the poker community that Dwan has been spending a considerable amount of time in Macau, playing the whales that frequent the Asian version of Las Vegas. Dwan admitted in September that he had “my biggest loss ever” after a junket to Macau, leaving some in the poker world speculating that Dwan’s bank account may be tapped out. The separation of Dwan and Full Tilt Poker has also cast a shadow over the rebirth of the ‘durrrr’ Challenge. In October, Dwan and Dan ‘Jungleman’ Cates were to resume their heads up match with new conditions, according to Cates. After a spat that occurred earlier in the year, Dwan and Cates set out a schedule for play with significant financial penalties should either side not meet the expectations set. In an interview, Cates specifically said, “With the deal we have now, I’ll make money either way.” Now that Dwan is no longer a member of Full Tilt Poker, the ‘durrrr’ Challenge may have hit another roadblock that could prevent its conclusion (for the record, Cates was ahead by approximately $1.5 million after half of the 50,000 hands were played). Options for Dwan in picking up another sponsorship deal are minimal. 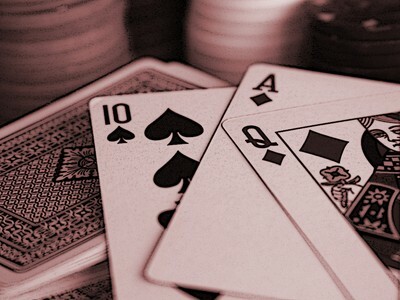 PokerStars is unlikely because of its “sister site” situation with Full Tilt. The powerful European rooms, such as partypoker, 888 or Winamax, might be interested, but just how much interest would there be in an American player that (currently) isn’t very invested in the online game (or live tournament poker, for that matter)? Where Dwan will land (or IF he will) might be a question on everybody’s minds as the calendar turns to 2014. Daily News Review: Bite-sized summary of the day’s poker news. 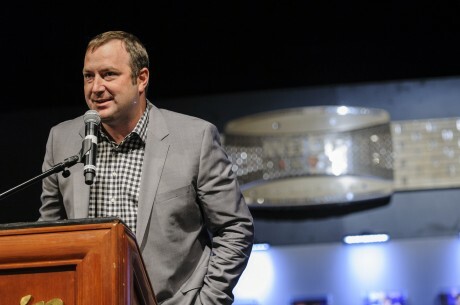 World Series of Poker Executive Director Ty Stewart discusses all things poker and WSOP, including Ryan Riess, scheduling, Big One for One Drop, Daniel Negreanu, and more. Ognjen Sekularac led the final 21 players after Day 3 of the 2013 bwin World Poker Tour Prague Main Event.